IRELAND’S only residential detoxification centre for juveniles battling addiction problems faces the threat of closure unless the Government addresses a looming financial crisis. Aislinn, a Kilkenny-based service operated by the Aiséirí treatment centre group, warned that it urgently requires funding support if it is to continue its hugely successful operations. Despite Ireland’s escalating juvenile drug abuse problem and the fact that Aislinn ranks as the only centre of its kind in the country, it is entirely dependent for financing on private sources. This is despite the fact the Aislinn centre witnessed an astonishing 52pc hike in client admissions last year. Aiséirí chief executive Paul Conlon warned that while the group’s overall financial situation has improved, the funding model for Aislinn simply cannot continue. He bluntly warned that Government support is now vital to keeping the vital centre operational. In a desperate bid to rally support, letters were hand delivered to all TDs and Senators at Leinster House yesterday. “The funding model for our adolescent detoxification and rehabilitation service is not suitable,” he said. “This will provide a tangible return on the investment for the Exchequer, as young people will be able to take control of their addiction and return to their families and communities,” he said. Aiséirí supporters admitted it was “beyond belief” that a hugely successful centre like Aislinn should be reliant on private funding sources. 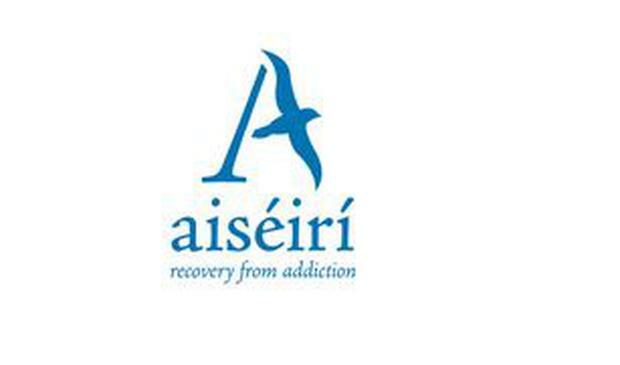 Olympic silver medalist, Ken Egan, backed the Aiséirí campaign and said it was critical that every possible support be offered to groups working to help people address addiction issues. “I started drinking at the age of 13 or 14 and fully appreciate why services like those at Aiséirí are absolutely crucial to people at a young age,” the boxer said. Aiséirí issued the funding appeal as the group, which operates treatment centres in Tipperary, Waterford, Wexford and Kilkenny, admitted it was dealing with record demand for its services. Its annual report revealed that 550 clients availed of addiction treatment services in 2015 – an increase of 87 or 19pc on its 2014 total of 463. However, its juvenile centre, Aislinn in Kilkenny, witnessed a 52pc hike in its treatment clients, soaring from 115 in 2014 to 175 last year. A key change noted last year was a steady increase in the number of women presenting for addiction treatment, many with complex needs. Mr Conlon said that while the financial position of Aiséirí had improved over the past 12 months, the group found itself under renewed pressure because of the spiraling demand for its services. He also said the Government needed to consider the need for secondary treatment facilities and housing support for those facing ongoing drug and alcohol addiction support. “We would like to provide such services in the south east, which has no such facilities at present,” he said. Aiséirí also continued to provide a comprehensive aftercare and family service to all those who completed the programme in recent years.